Roth has used the relationship between his life and art in a gimmicky way in his fiction, and even his brutal memoir The Facts (1988) was not free of this defect. Now, however, he discards all the artifices in this searing account of his 86-year-old father's physical decline and death. 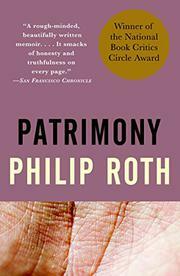 "You must not forget anything," Roth admonishes himself at the end of this father-and-son tale, and indeed, from the detail accumulated here, one doubts that his eye, unerring ear, and memory have missed a thing. Misdiagnosed at first as having a viral infection that caused temporary paralysis to one side of the face, father Herman Roth soon learned the bleaker truth: he had a brain tumor. As this once-vigorous retired Newark insurance manager refused to go gentle into that good night, Philip watched with mingled awe and fear. The only respites from this harrowing procession of bodily disasters--including diminished eyesight and incontinence--are flashbacks that provide fascinating glimpses into American Jewish life in the first half of this century--as well as into Roth pÃ¨re, a blunt perfectionist who sometimes drove his late wife, children, and loved ones to distraction (after being advised of the need for an operation, Herman lashes out at his long-suffering companion for not opening a can of soup correctly). Even before Philip has his own terrifying brush with death in an emergency quintuple bypass operation, he realizes that his father taught and embodied "the vernacular, unpoetic and unexpressive and point-blank, with all the vernacular's glaring limitations and all its durable force." An elegy of overwhelming horror and pity--filled with Roth's graceful prose and narrative control, but also with a humanity sometimes missing in his other work.